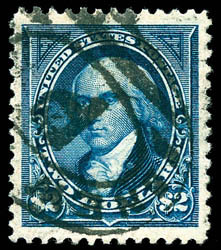 1894, $2 bright blue, double oval registry cancel, perfect centering with large oversized margins, bright strong color, Extremely Fine to Superb, this is one of four examples to grade as such by the P.F. with none higher; with 1985 and 2014 P.F. certificates, latter Graded (XF-S 95, SSV $9,000). 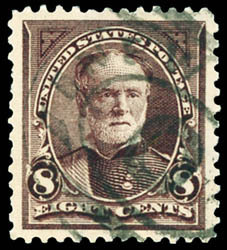 A REMARKABLE LARGE-MARGIN EXAMPLE OF THE 1894 $2 BUREAU UNWATERMARKED HIGH VALUE.